Jean-Pierre Courjaud F6DZP wrote dedicated software for the reception of HamVideo signals. The Tutioune 1600 software commands the TT S2-1600 PCI card and handles the transport stream. 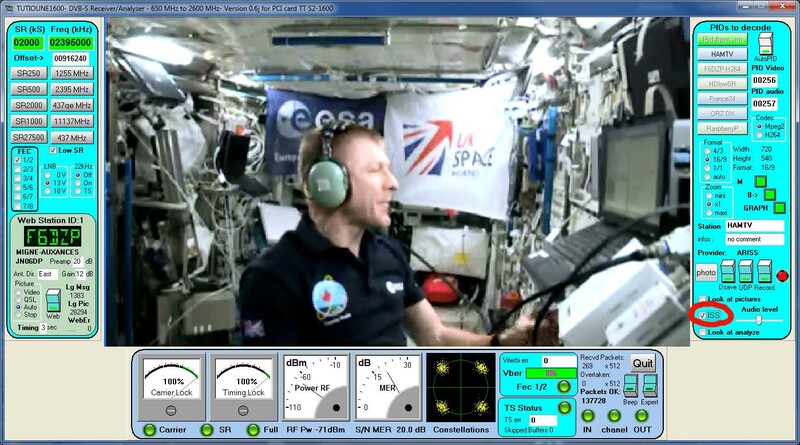 In ISS mode it also adds the missing DVB tables. The program not only delivers video and audio, but also provides technical parameters such as RF power and MER (Modulation Error Ratio), as well as “constellations”, a visual representation of the accuracy of the received and decoded bit stream. At the click of an icon, the Tioune Monitor displays the main receiving parameters in real time. With the Tutioune “Save Data” button, we can save all measuring data during a pass. 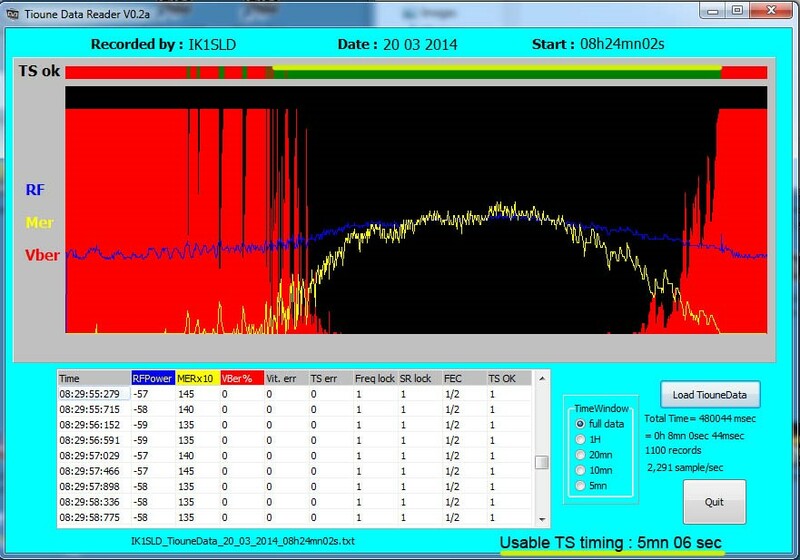 With the « Tioune Data Reader » software we can examine how the tracking system received the HamVideo signal.